The facility is nuked at the end of the movie to kill it off, but you see the alien escaped the facility, walking off-screen as the bomb goes off. I've been scouring lists of sci-fi movies to no avail. Sound familiar to anyone? 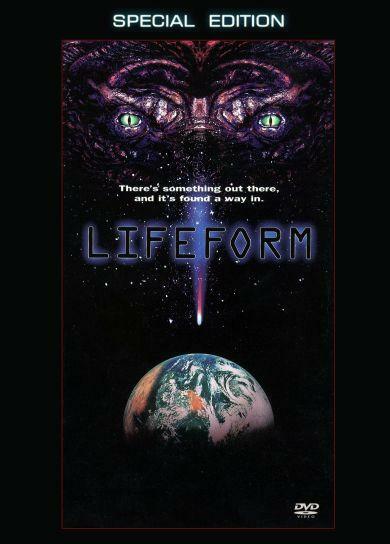 The movie is Lifeform with Cotter Smith and Ryan Phillippe. "When the Viking space capsule suddenly returns to Earth from its long ago trip to Mars, it brings with it an intelligent visitor that is part "Alien" and part "ET". Encased in armor, it extends a humanlike form from its shell to examine its surroundings and shows an interest in humans including a soft caress of a female scientist prior to the Army killing it. This only enrages its sibling." Not the answer you're looking for? Browse other questions tagged story-identification movie aliens or ask your own question. Campy Alien Horror movie with Alien Stowaway on Lunar Lander? What movie features an abandoned spaceship with English and alien writing on it?